Fried pork chops are always a hit, whether served for lunch or dinner. And you don’t need to be a culinary expert to understand why. Pork chops are very meaty and delicious. It’s a great source of protein, too. But has it happened to you that you forgot to cook pork chops that you bought a week ago? How long can raw pork chops remain safe for cooking? And how quickly should you consume leftover pork chops? How would you know that the pork chops have gone bad? These are some of the issues I’ll tackle in this post. How to distinguish spoiled raw pork chops? 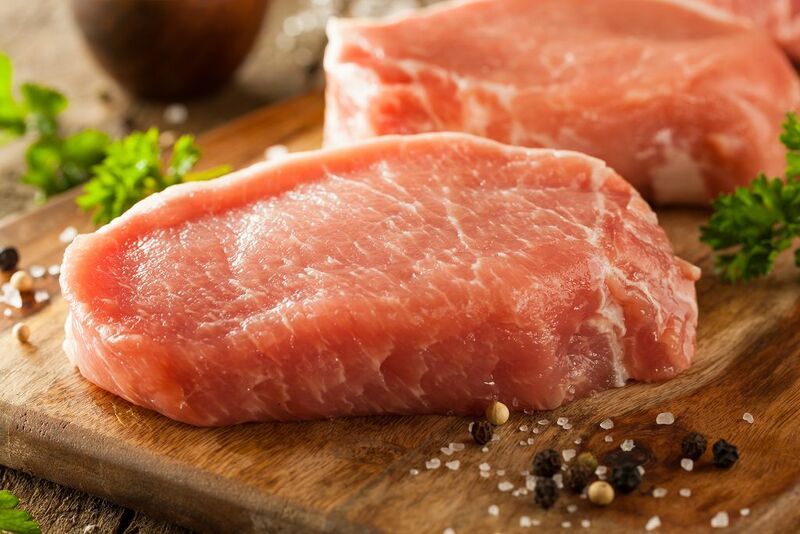 How long can raw pork chops stay safe for consumption? 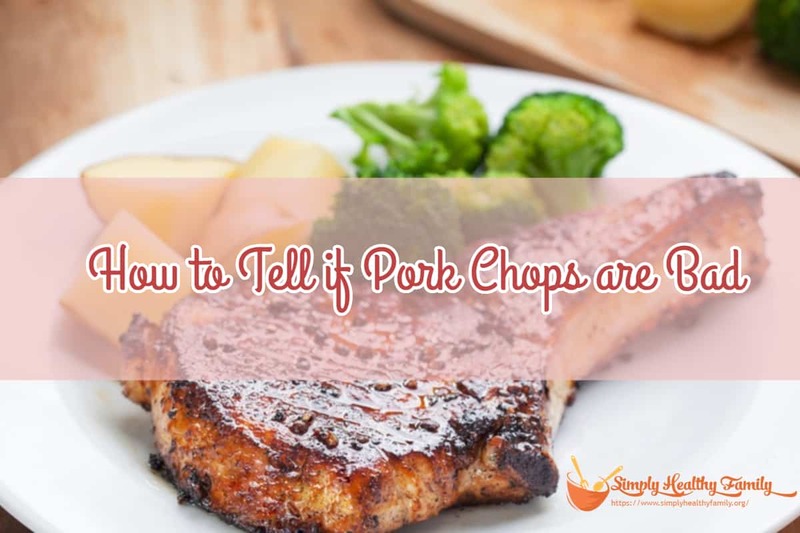 How to tell if cooked pork chops have gone bad? Let’s say that you totally overlooked the pork chops you bought a month ago. You had stored it in the freezer, but you are not sure if it is still safe to cook. How would you know it is not spoiled? One way is to look at the color. After thawing the pork chops, check whether it is still colored light pink or white. If so, then it is still fresh or safe to use. But if the pork has turned gray or black, then it has definitely gone bad. Suffice to say, it’s better to throw it out. Another way to determine if the pork chops have become rancid is to smell them. Spoiled pork chops have a sour odor. Open the package and smell the pork. You can also touch the pork. Fresh pork chops are firm but not hard. If it’s too hard, then it is very likely to be spoiled. Excessive stickiness is also another indicator of spoiled pork. Obviously, you need to put raw pork chops in the freezer or refrigerator if you want to prolong the shelf life of the pork. 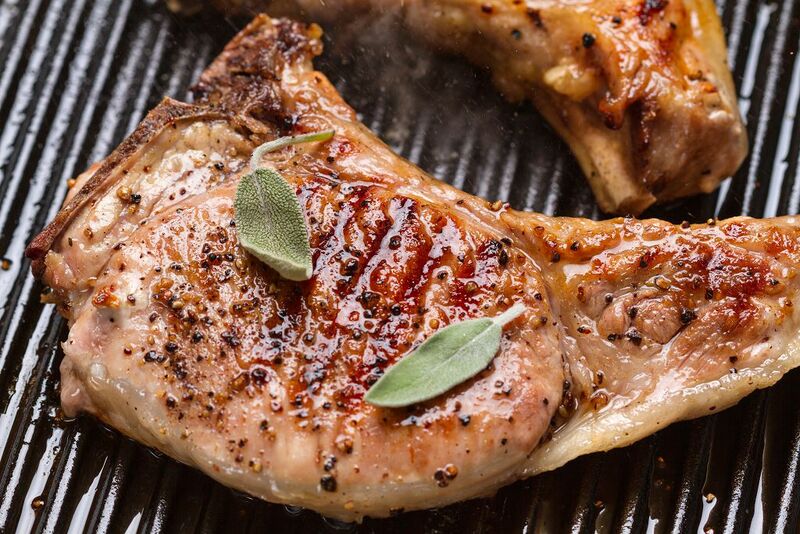 Keeping the meat at room temperature is a no-no because pork chops can easily spoil when exposed to temperatures of 40 degrees Fahrenheit and higher. Many people I now would not use pork chops with the expired sell-by date. But the truth is that you can cook pork chops past the sell-by date as long as the meat has been properly stored. This can mean two things—refrigerating or freezing the meat. 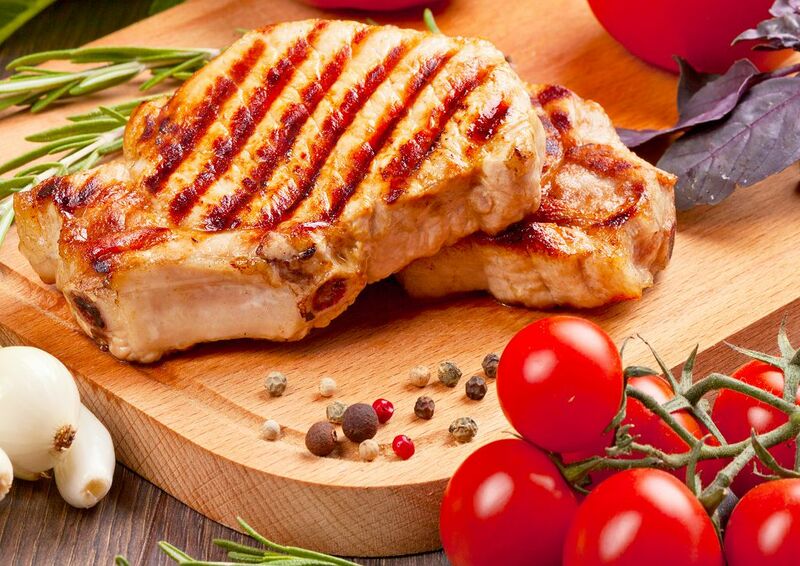 When pork chops are refrigerated, you can use them up to five days after its sell-by date. But when you freeze pork chops, the meat is safe for cooking up to 6 months past its sell-by date. It’s harder to spot spoiled cooked pork chops. Of course, you can always rely on your senses. Pork chops with a foul odor are likely to have gone bad. The same goes for pork chops with a slimy appearance. I have a simpler rule as far as cooked pork chops are concerned—I eat them within 2 days. If they’ve been sitting in the ref for three days after they were cooked, I don’t even think of eating them. I immediately discard the meat as I don’t want to take any chances, so to speak. Since we’re on the topic of cooked pork chops, I might as well give you some tips so you can serve the best tasting pork chops. Pork chops are naturally lean and bland. Seasoning with salt and pepper can bring out the natural flavors of the meat. It has become my habit to season pork chops generously to improve its taste and texture. You can also brine the meat before cooking. Some experts brine it for four hours! They say it will make the meat very flavorful without making it too salty. Try it if you have the time to do so. Don’t cook the meat straight from the ref. Avoid taking the meat from the fridge then placing it in a hot pan right away. You will likely end up with unevenly cooked meat. I suggest you take the pork chops out of the ref a good 20 minutes before you cook it. This should be the pork up to room temperature so you will be able to cook it more evenly. I know that you would want to serve a freshly cooked pork chop. But give it a few minutes to rest. This way, the fibers of the meat would ‘relax.’ You will have a juicier meat in the process. So how would you know pork chops are bad? Rely on your senses! A bad smell is one good indicator. The same goes for the texture and color of the meat. 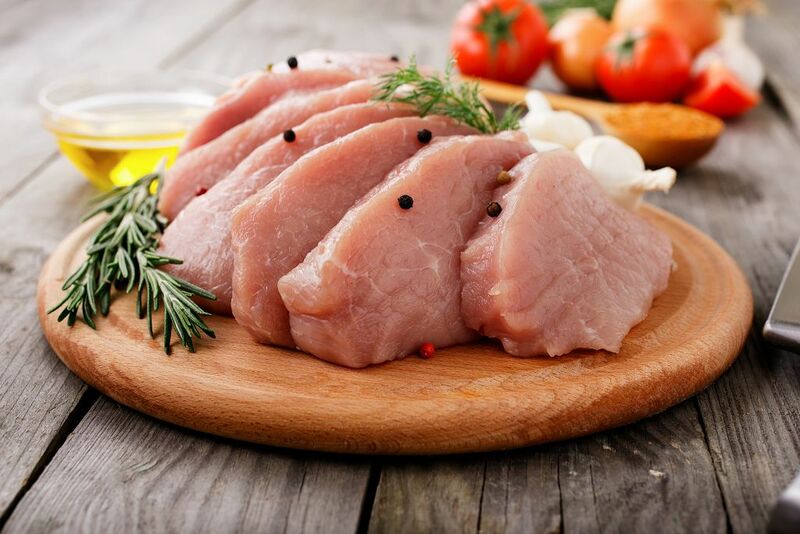 Raw pork chops can be safe for use for up to 6 months if stored in the freezer. But when refrigerated, the meat should be cooked within 5 days past its sell-by date. Cooked pork chops don’t last that long either. They’re only safe for consumption within 2 days.